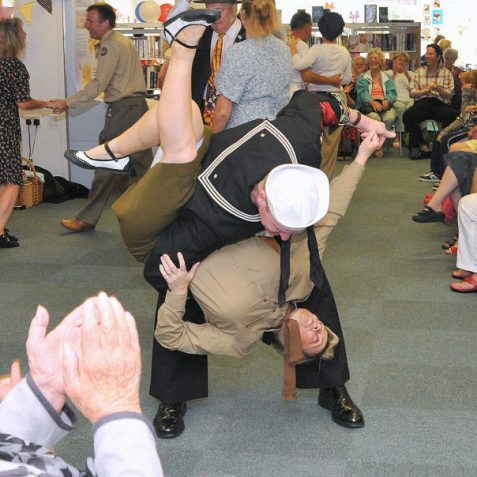 We don't recommend you try this at home! 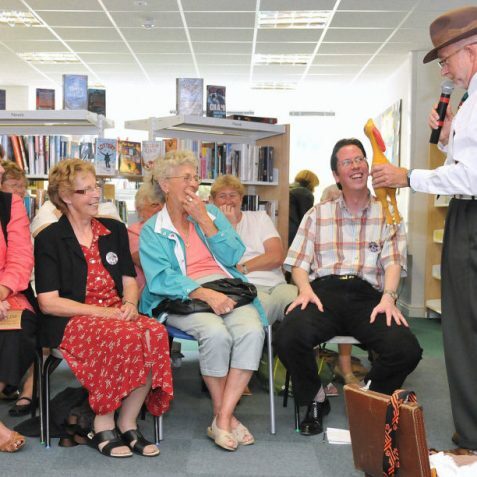 What has this dodgy spiv got in his suitcase? 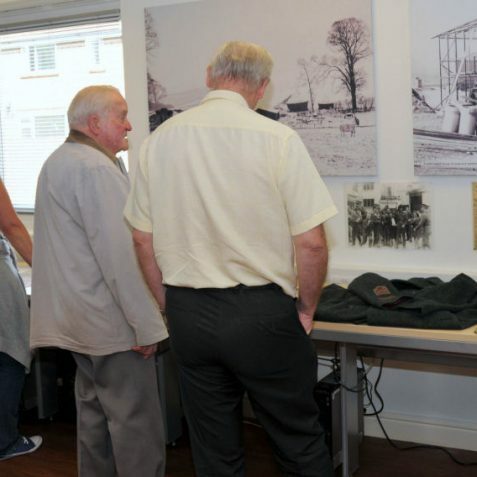 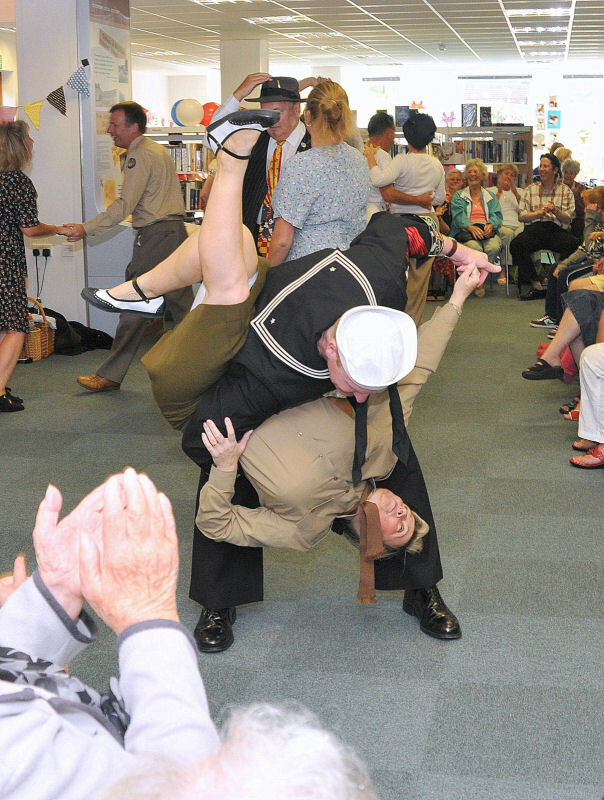 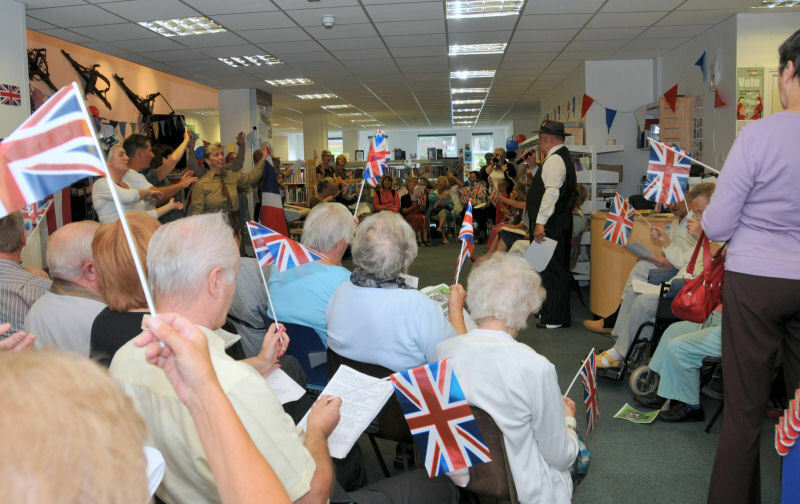 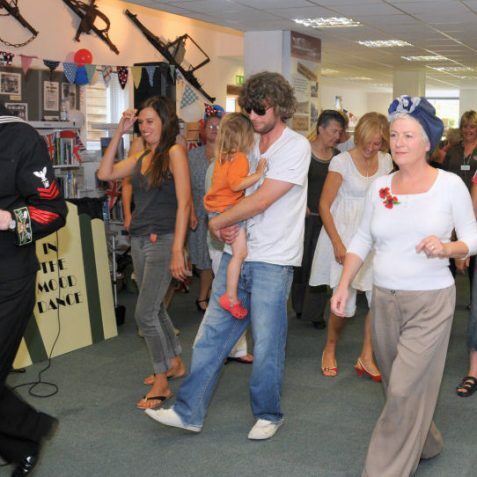 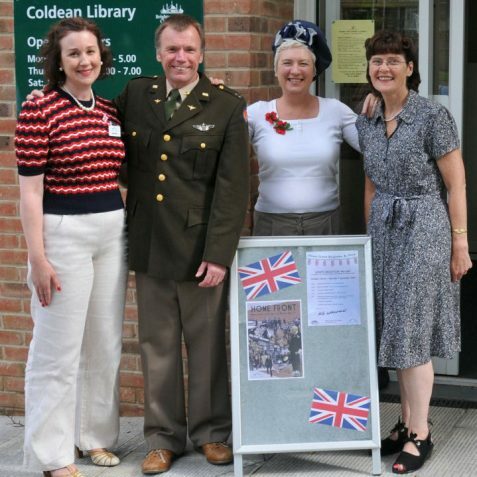 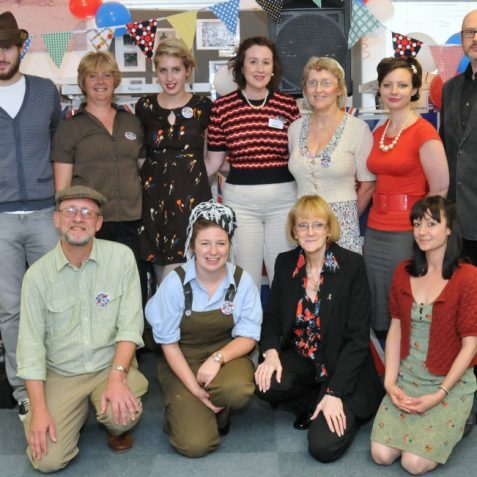 Last Saturday Coldean Library hosted a North Brighton ‘40s Day. 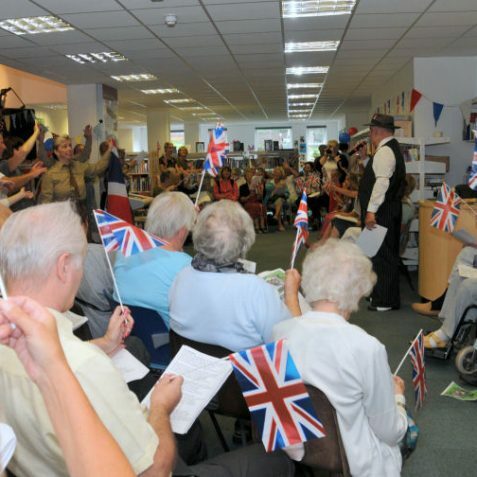 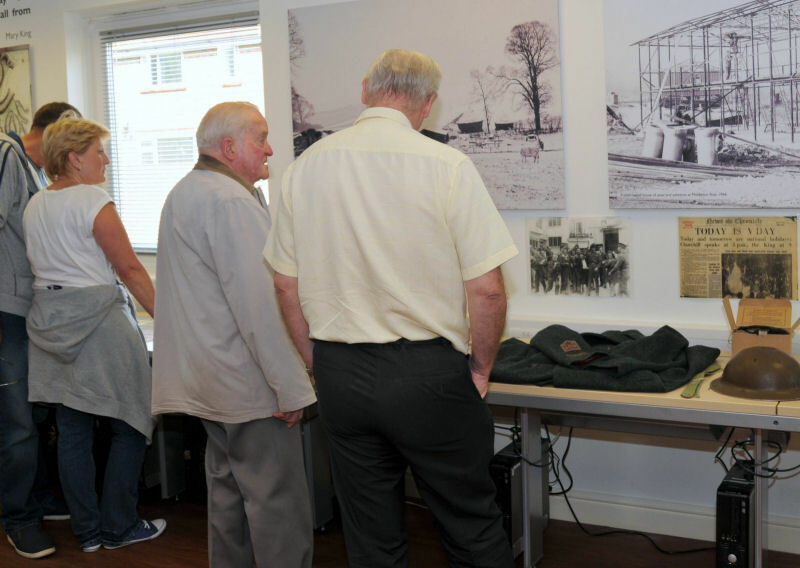 This was part of the programme of events and activities which will be staged in the city this year, to mark the outbreak of the Second World War. 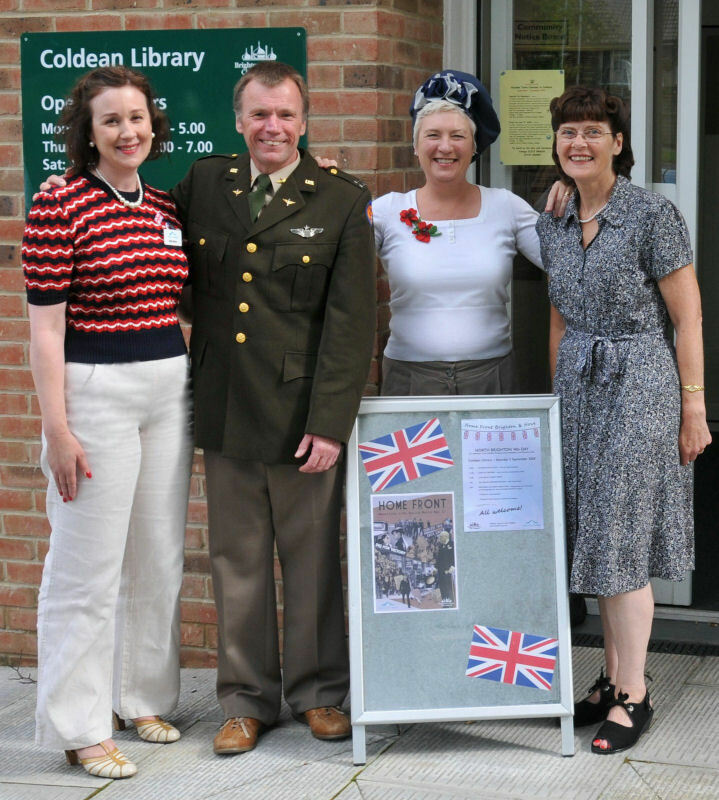 A firm favourite with My Brighton and Hove folks, Mr David Rowland gave a talk about ‘The Brighton Blitz’. 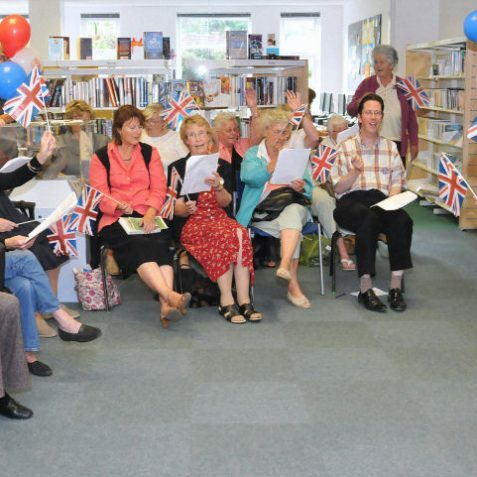 Those of you who have read David’s book on the subject will know that this was a very informative and interesting presentation. 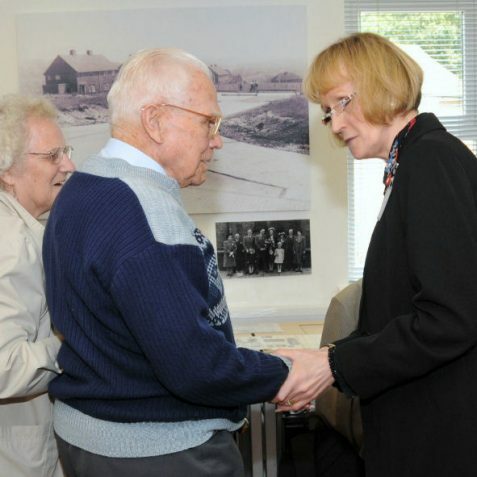 Land of Promise, a selection of short wartime documentary films, not only brought back memories to those who experienced wartime Britain, but also provided insights into this most significant period for those of us who weren’t around at the time. 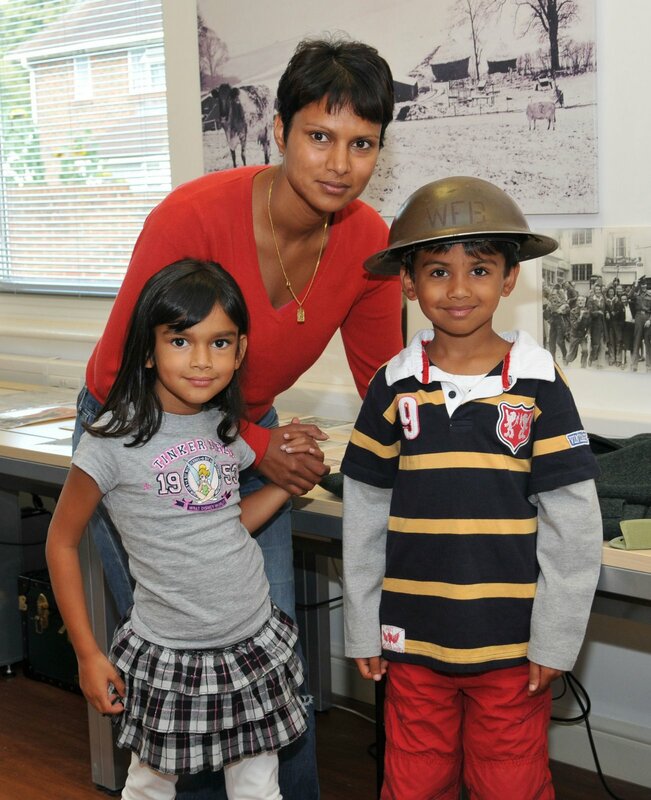 Of especial interest to visitors, was the collection of wartime ephemera ranging from ration books to knitting patterns and sweet coupons to an ARP helmet. 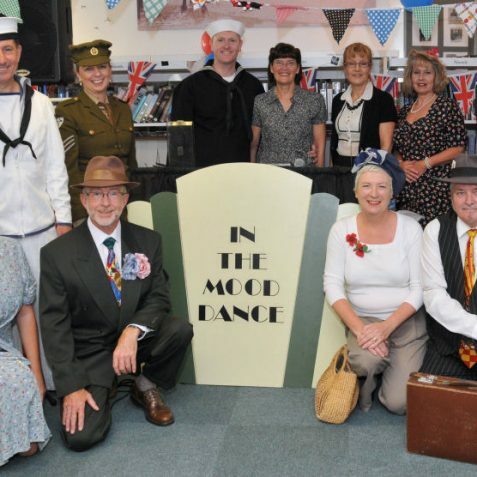 Certainly one of the highlights of the day were local entertainment group ‘In the Mood’ who put on a terrific show of ‘40s music and dance. 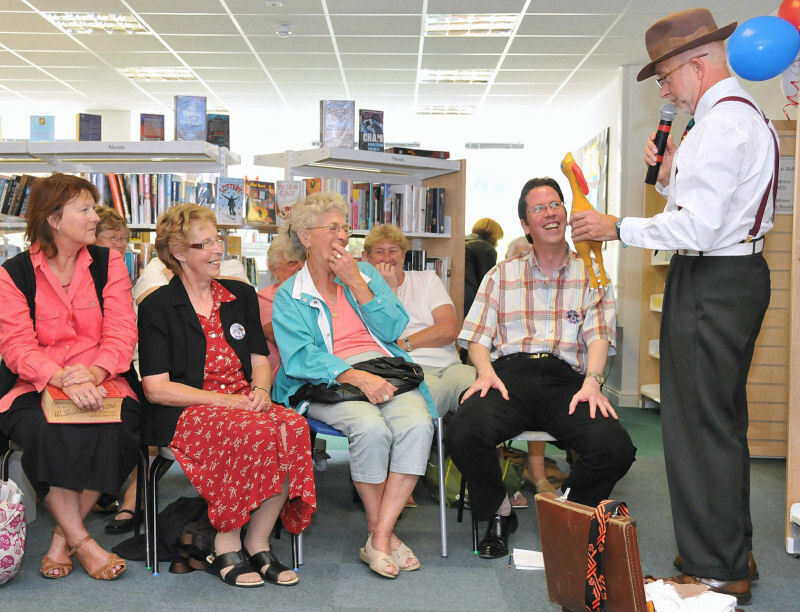 They certainly made the audience laugh with their wartime characters like ‘Dodgy Dave’ the wartime spiv – you don’t want to know what he had in his suitcase! 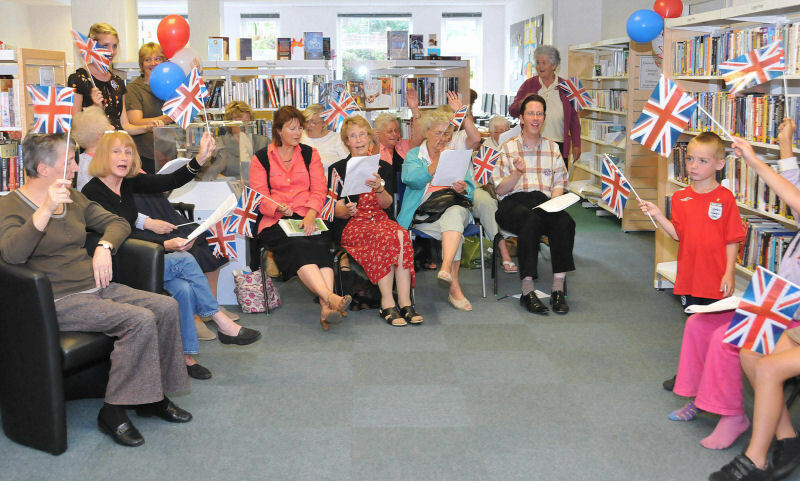 The event was organised by Sally Blann, Local Studies Manager at Brighton and Hove Libraries, who has a similar event booked for September 26th at Hove Library. 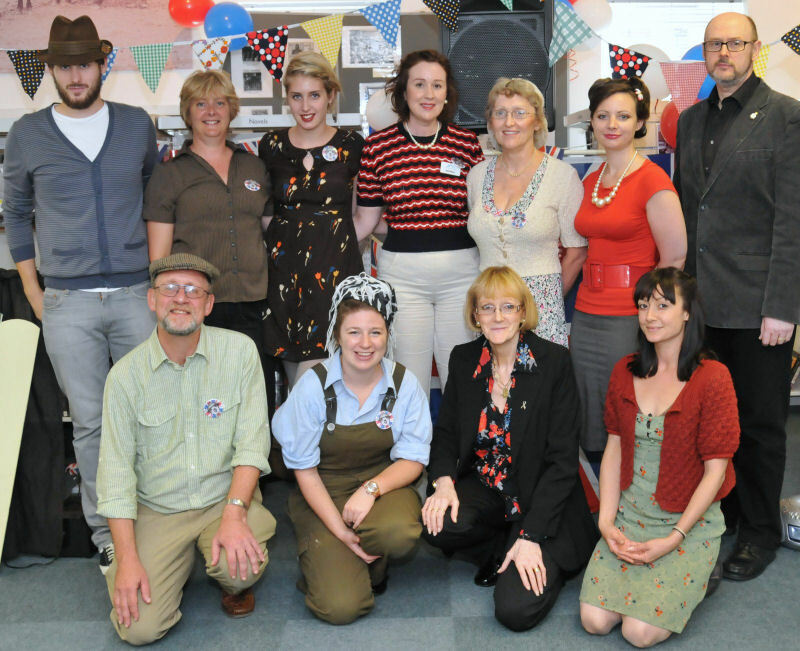 Once again members of the My Brighton and Hove editorial team will be there on the day. 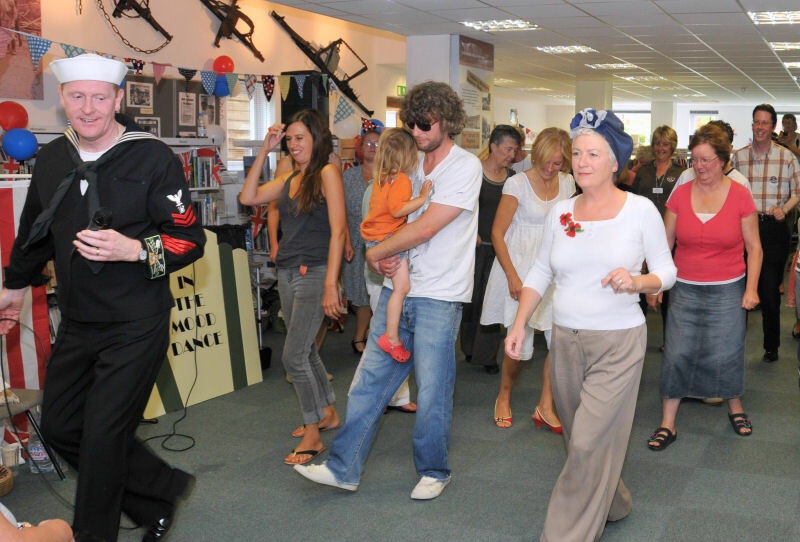 Bring along your Brighton and Hove memories and photos and we can scan them for you and publish them on the website. 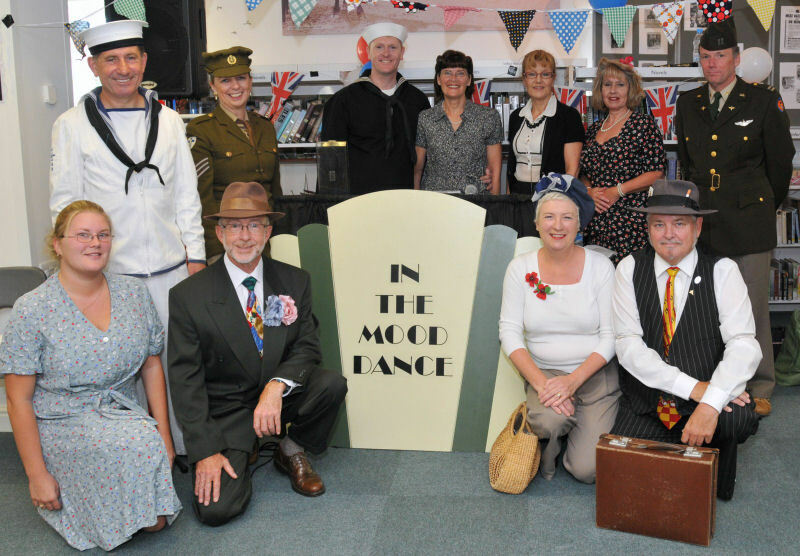 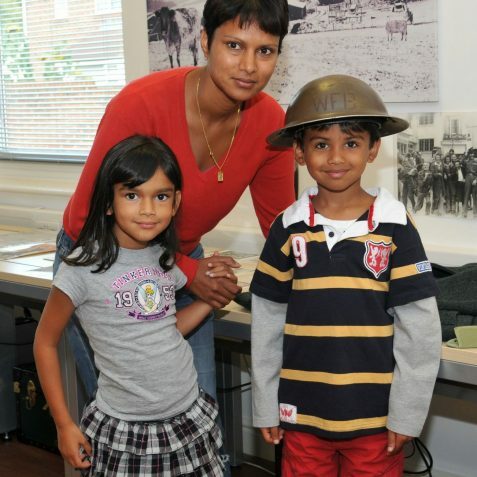 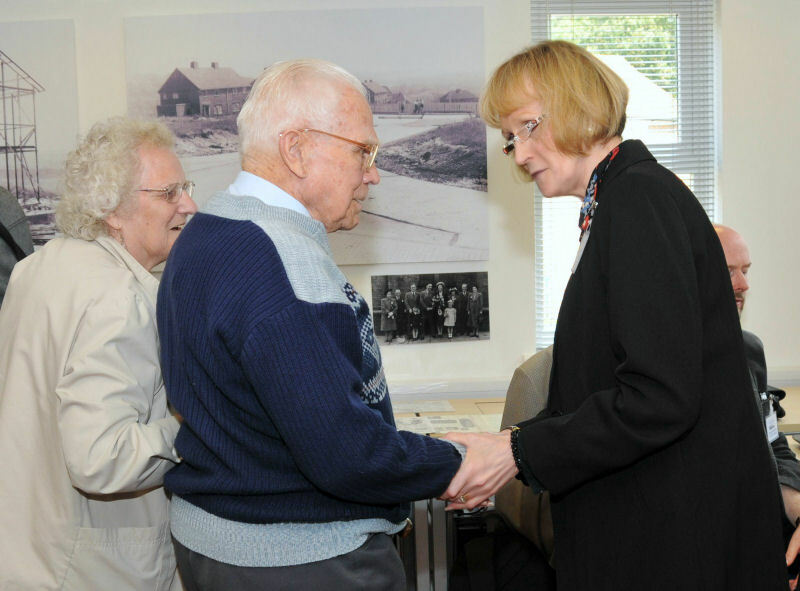 Tickets for ‘Home Front Brighton and Hove’ are £3: details From Hove Library on 01273 290700.